Where I live, in Toronto, it’s cold in the wintertime. While we CAN get fresh greens in the wintertime, they are often coming from a long way away. To then take those greens and squeeze the juice out of them and throw away the pulp seems like an incredibly unsustainable enterprise. It may be “healthy” for you, but not for our planet. Stinging nettle, picked and dried at it’s most vigorous (in the spring) is a rich source of many minerals that you would find in any green juice. Nettle contains many of the trace minerals including selenium, sulphur, zinc, chromium, and boron. 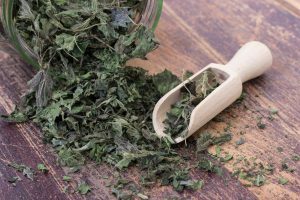 According to herbalist Susan Weed, a quart of nettle contains over 1000mg of calcuim, 15000IU of vitamin A, 760 mg Vitamin K and lavish amounts of most B vitamins. It has a pleasant, “green” taste and is a rich source of phytochemicals. It also has the benefit of being an adrenal tonic, a gentle support to our overworked adrenal systems! I will often recommend nettle for folks who are recovering from illness, who are overstressed or as a supplement in pregnancy. 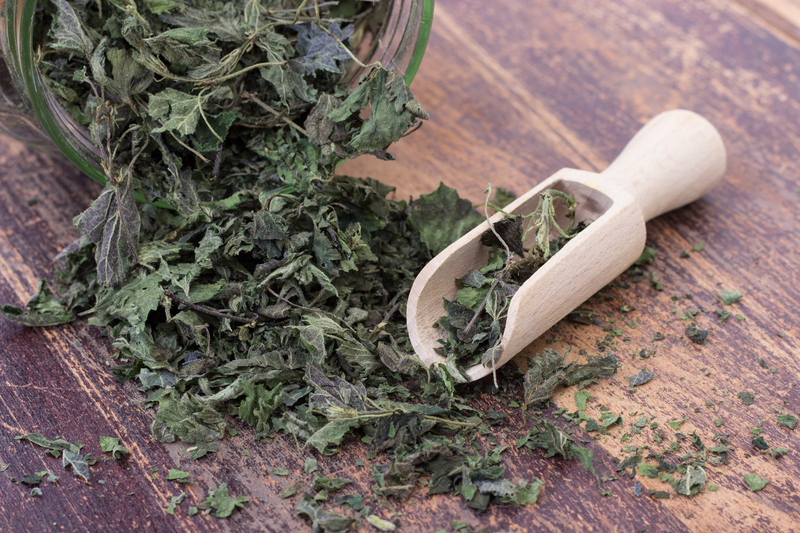 To get the most out of nettle, you need to make a nourishing herbal infusion. The long infusion time allows the minerals to move out of the nettle leaves an into the infusion so you can get the full benefit of it! In Toronto, I order my herbs from Judy’s Organic Herbs in the Ottawa Valley. Put dried nettle into the jar and fill jar with boiling water, right to the brim. Put a lid on the jar and leave on the countertop at least 4 hours (I prefer overnight). Strain the nettle and put into the fridge. Enjoy 1-2 cups per day. I prefer nettle diluted with hot water to make a warm beverage. Experiment and see how you like it best!